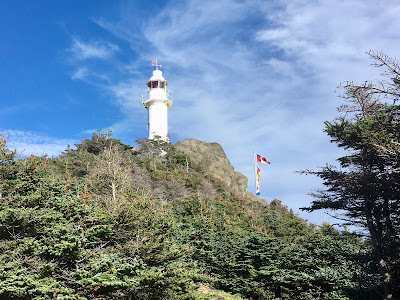 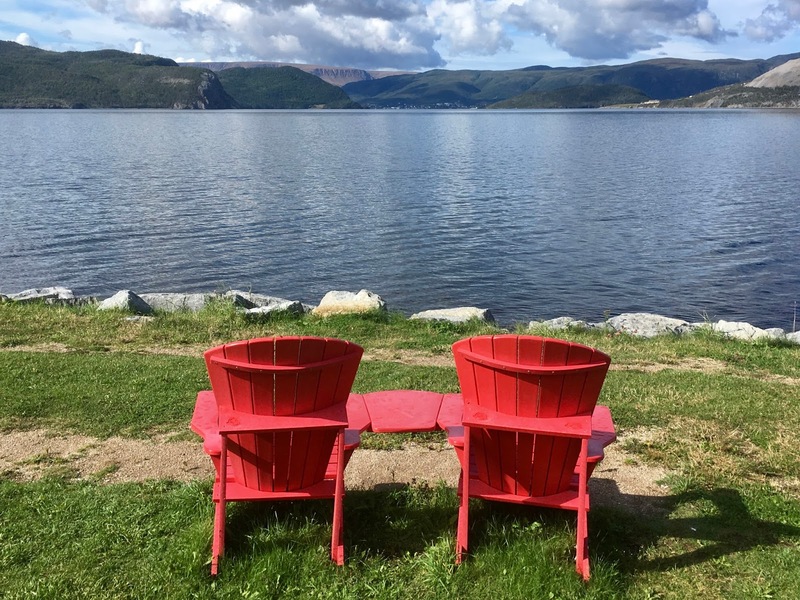 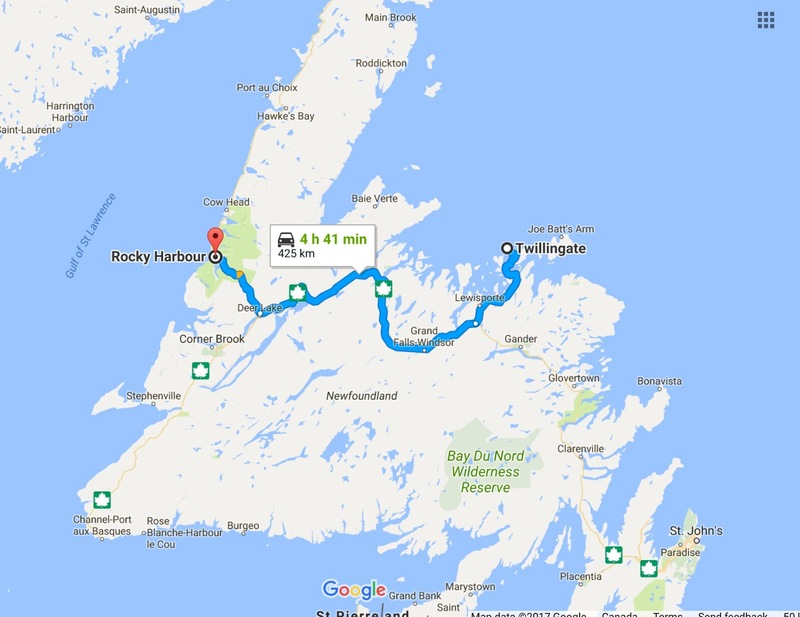 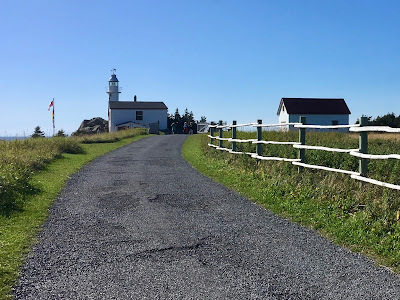 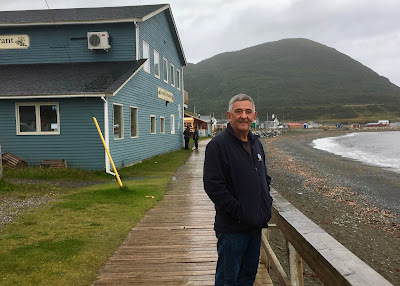 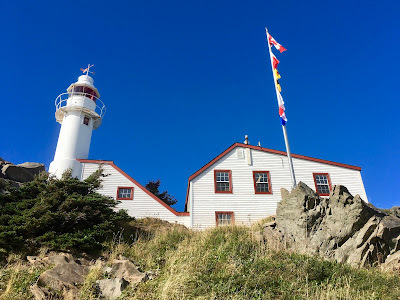 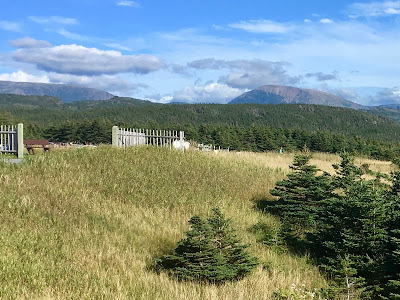 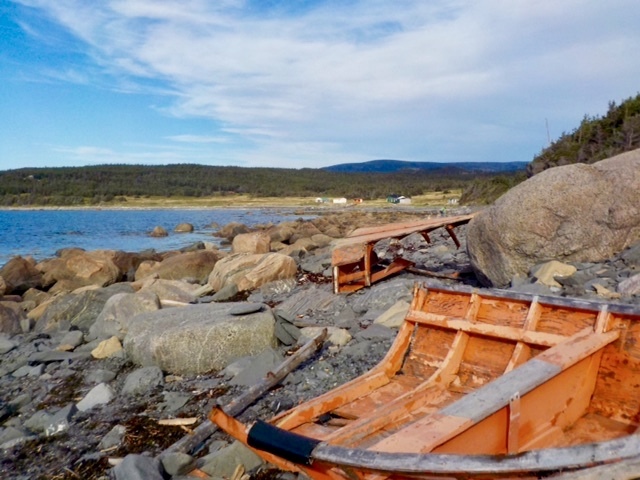 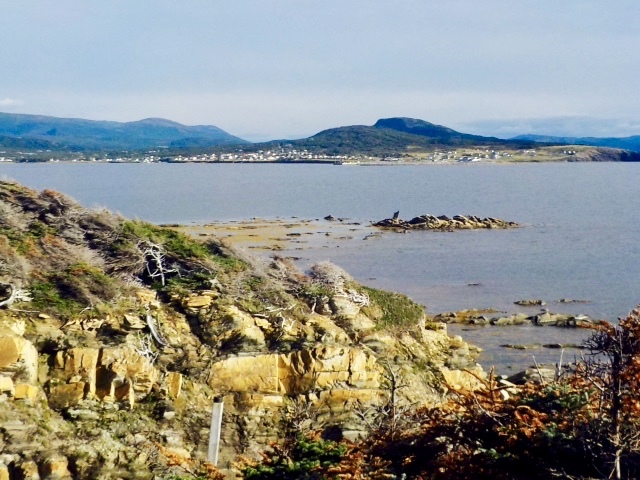 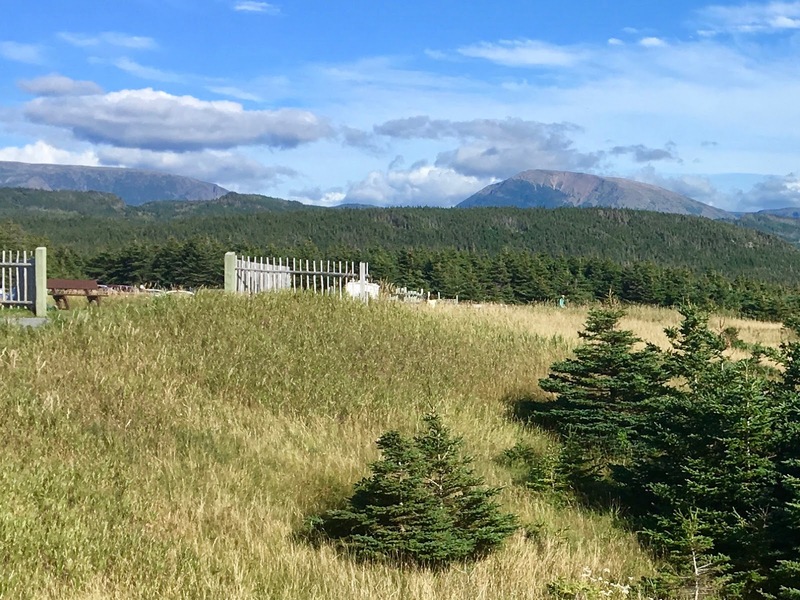 We stayed three nights in Rocky Harbour and our first destination was the Lobster Cove Head Lighthouse located a few kilometres north of town. 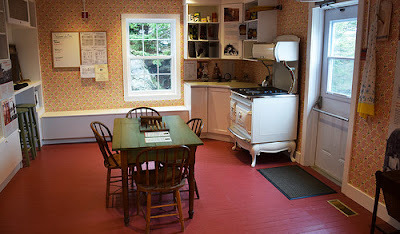 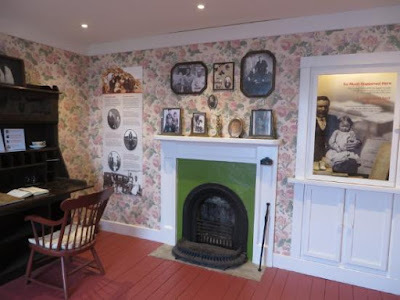 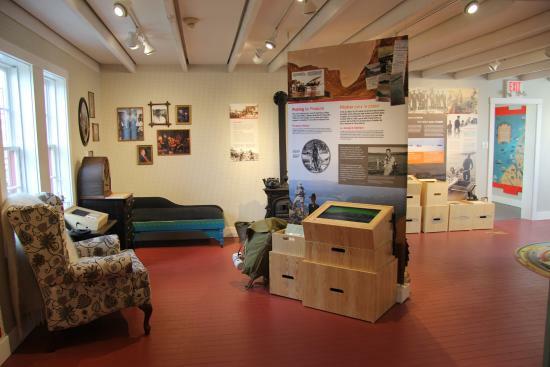 The exhibits inside the lighthouse focused on all those who once called the lighthouse home. Surrounding the lighthouse are a number of hiking trails. 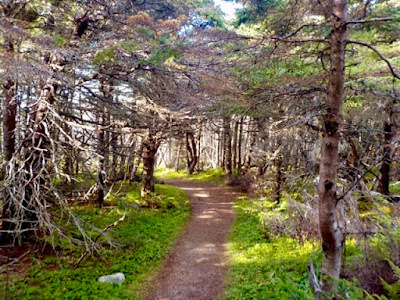 John ventured down this one that took him though the forest to the shoreline. 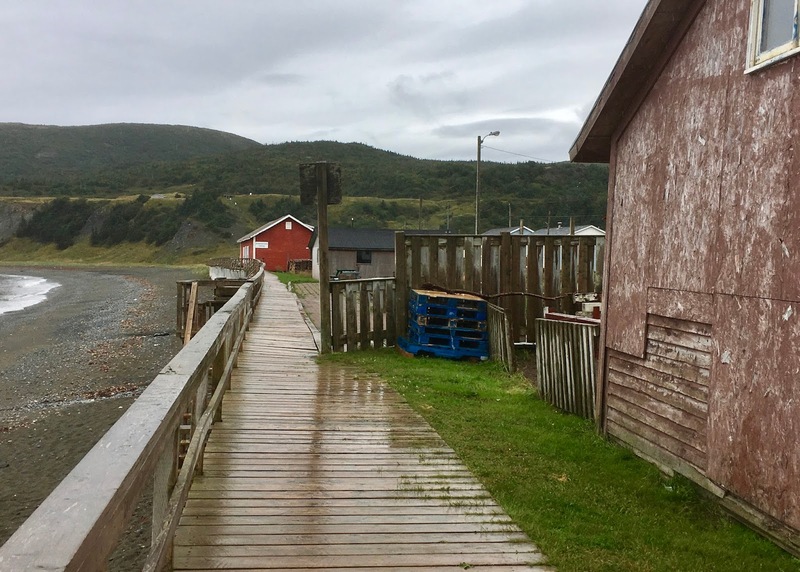 On another day we ventured south to Woody Point, but sadly the weather did not cooperate. 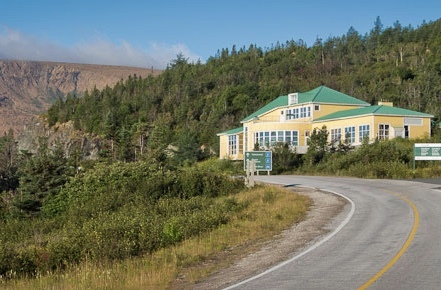 We stopped at The Discovery Centre situated in Parks Canada Gros Morne National Park. The views from the centre were spectacular despite the rain. 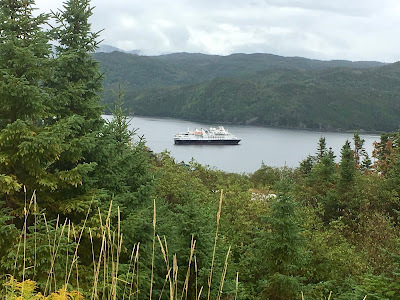 We watched zodiac after zodiac transport passengers to and from this cruise ship. They were all outfitted in red jackets and quite easy to identify! 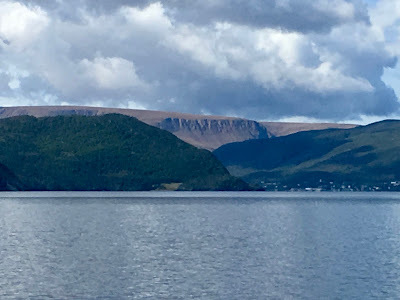 Unfortunately, the rain made it difficult to view and get a good photo of the Tablelands as they were mostly draped in clouds. 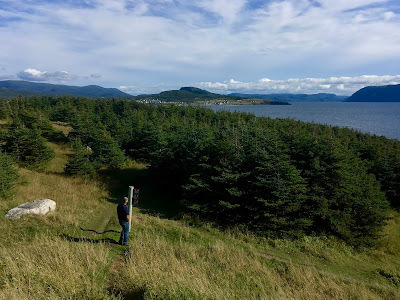 Five days later on our drive south to Port aux Basque, however, we had better luck - albeit from a distance.